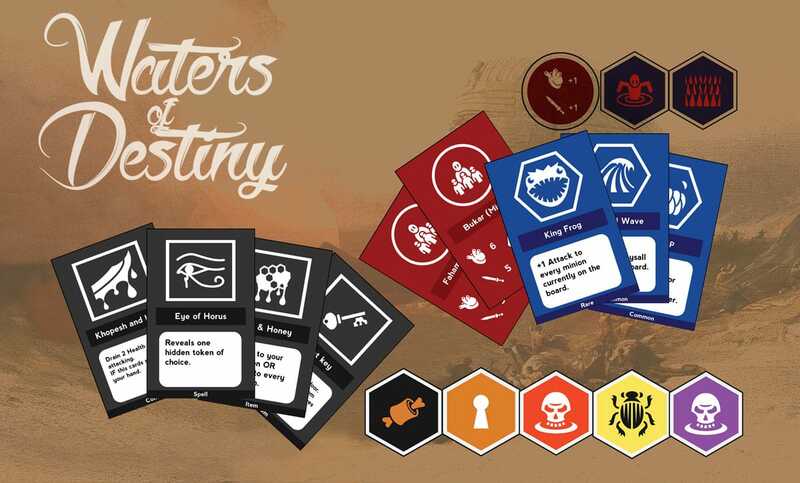 Waters of Destiny is a board game for strategic enthusiasts where you fight against other champions and the evil god Nun. The player who defeats every single champion as Nun wins. A group of Champions has been sent by Egyptian gods to thwart the iniquitous plans of Nun, the father of the gods. To do so, these Champions must band together to defeat the Herald of Nun and the monstrosities at his side or attempt to survive on their own, all while trying to find and return an ancient Relic to its Pedestal to stop the oncoming apocalypse. Waters of Destiny is a board game that uses strategy and turn based mechanics to make you live an epic battle in an ancient Egyptian setting. Above is a 2D side-scrolling, puzzle – platformer that is centered around controlling two characters at the same time and climbing upwards. Unique game for 1 player vs many players, a game for non-serious and quite mad people in a serious Egyptian era were champions fight false gods. We strategized, designed, and developed a simple game for GrillCo a natural charcoal company from Paraguay to sell more fire starter matches.